We Love Confident, Beautiful Smiles! Dr. Matt Heim and the team at Heim Orthodontics love creating confident, beautiful smiles, one person at a time. Ours is an office that sees and treats you as the wonderful individual you are. We understand that your smile goals are as unique as you. That’s why we’ll talk with you about your smile dreams before Dr. Heim creates your custom care plan. Dr. Heim believes in treating each patient as though they were a member of his family. He’ll provide you with the leading-edge, gentle care required to move your teeth into proper alignment. Your resulting smile will be something you’ll confidently share, for the rest of your life. Orthodontics is more than just straightening teeth and creating a healthy bite. It’s a positive change in a person’s life, boosting their self-esteem and how they feel about themselves. Every day we witness personalities blossom, as our patients become more comfortable with their appearance. Even the shyest patient begins to make eye contact and engage with others. By the time treatment is completed, our patients are happily laughing and smiling, no longer worried about crooked teeth. 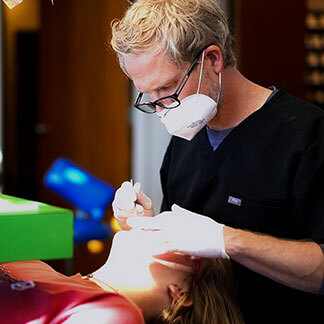 Unlike many high-volume practices, at Heim Orthodontics we have one doctor. He will oversee all aspects of your care and will see you at every visit. This ensures he’s able to make any necessary adjustments to your care plan, check to make sure you’re happy with the progress, and update you, too. Each member of our team lives for the relationships we form with our patients. Not only will we remember your name, but we’ll look forward to your visits as a time to hear your latest news. Because orthodontic treatment usually takes several years, and we’ll see you about once every six to eight weeks, we’ll really get to know you. We’d like your visits here to be the highlight of your day. Seeing you will be the highlight of ours! We know you have many options for orthodontic providers. Scheduling a complimentary consultation allows you to come in, meet Dr. Heim and our team, and receive a free exam. Based on what Dr. Heim observes, and what we’ve learned about your goals and timeline, he’ll develop a course of treatment. We’ll then review his plan with you, explaining the steps and options, and answering your questions. It’s important you make an educated decision: this is your smile, after all. Our Oklahoma City and Kingfisher orthodontic offices welcome patients from Edmond, Deer Creek, Piedmont, and surrounding communities. We can’t wait to welcome you to the Heim Orthodontic family and get started on your new smile. Please, contact us today!